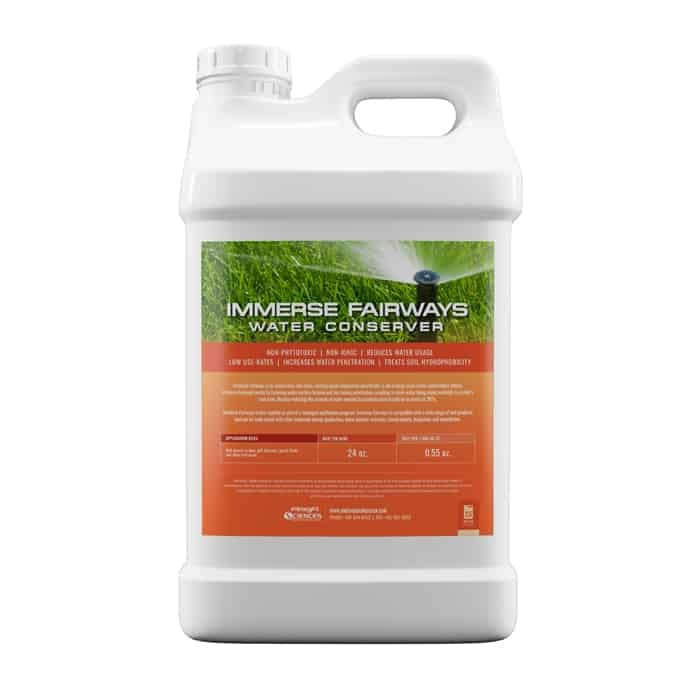 Immerse Fairways is an economical, non-ionic, wetting agent engineered specifically to aid in large-scale water conservation efforts. Immerse Fairways works by reducing water surface tension and increasing penetration, resulting in more water being made available to a plant’s root zone, thereby reducing the amount of water needed to maintain plant health by as much as 30%. Immerse Fairways is best applied as part of a managed application program. 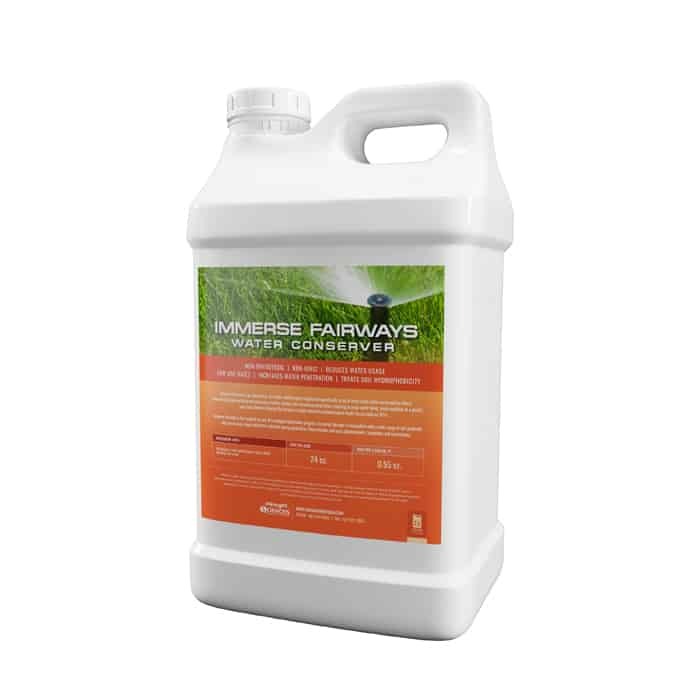 Immerse Fairways is compatible with a wide range of turf products and can be tank-mixed with other materials during application, these include: nutrients, biostimulants, fungicides and insecticides.